(a) The hiring of the equipment will commence from the commencement date specified on your invoice and continue for the term specified. The hirer is entitled to use the equipment for the hire period. Any extension of the period must be agreed to by KAT Flowers & Events. (b) The hirer shall not remove the Hire equipment or any part thereof from the situation and position of its installation without consent from the owner. (a) The hirer agrees to pay KAT Flowers & Events the hire fee and any damages fee specified for the equipment for the hire period including any applicable GST, stamp duties, penalties, levies or freight and other charges relevant to this agreement. (b) The required fees must be paid to KAT Flowers & Events prior to the commencement date of the hire period. (c) Equipment not returned on time and in accordance with this agreement will be subject to a continuance of the agreed rental until return is complete. (d) Payment for hire of goods must be made by; (i) 50% of the agreed hire price upon confirmation of order; and (ii) the balance of the agreed hire price made 14 days prior to delivery of the goods. Payment must be made by credit card, bank transfer or cash. (e) The Owner requires security details at the time of order placement. An order will not be confirmed until and unless security detail is endorsed and supplied to the Owner. (f) All orders placed less than 7 days from delivery require full 100% payment to confirm the booking. (g) All prices are provided on request and are in Australian Dollars (AUD). (h) All custom ordered or special purchase items require full payment at point of booking in order to commence manufacture or buying process. The Hirer may cancel an order but may forfeit any hire fees paid as follows: (a) If booking is cancelled 4 weeks before the event date, KAT Flowers & Events will make a full refund of any hire fees paid minus the 50% deposit paid; (b) Bookings cancelled or item quantities reduced 1 – 3 weeks before the event date will forfeit between 70% and 100% of the total hire fee depending on the time of year; (c) Bookings cancelled or item quantities reduced within 14 days of the event date will forfeit 100% of the total hire fee. (a) The goods shall be returned in the same condition as they where delivered or a cleaning and or repair fee may apply. (b) The Hirer must allow any KAT Flowers & Events representative access to the goods at all reasonable times. (c) The Hirer must provide safe and proper access to and at the event site. (d) The Hirer is liable for all injury, loss or damage suffered by KAT Flowers & Events, its employees or agents while at the event site. (e) Prices quoted are for delivery on street level. Extra charges shall be payable for delivery to and removal from higher or lower levels or areas with restricted access. (a) The Hirer is responsible for the equipment from the time of delivery until collection by the Owner and shall pay for all equipment damage or loss however caused during that period. Damage includes but it not limited to: (i) damage resulting from overloading, misuse, abuse; (ii) Damage due to mysterious disappearance of the equipment; (iii) Damage caused by the use or operation of equipment in contravention of any of the conditions of the agreement; (iv) Damage to, or loss of, the equipment from any unknown cause. (v) Cigarette burns on any furniture, flower walls or décor items. (vi) Red wine spillages on any furniture, flower walls or décor items. (b) The Hirer shall protect the equipment from the elements during the time of delivery, use, storage or waiting period before pick-up. (c) The Hirer shall maintain at its expense liability, property and casualty insurance coverage in amount necessary to fully protect the Owner and its equipment against all claims, loss or damage of whatever nature or type. (d) The Owner shall not be liable for any loss or damage caused to any person, property, animal or things whatsoever arising from the use of the equipment hereby hired and the Hirer indemnifies the Owner in respect to any claims for such loss or damage. (e) Any person hiring the goods for and on behalf of the Hirer hereby covenants with the Owner that he or she has the authority of the Hirer to make this agreement on the Hirer’s behalf and is empowered by the Hirer to bind the Hirer to this agreement and hereby indemnifies the Owner against all losses and cost incurred by the Owner arising out of the person signing this agreement failing to have such power and/or authority. (f) Where the Hirer is more than one person liability shall be joint. (g) By making a booking through confirming a quote via email, telephone or in person, deposit payment or remittance of funds, the hirer acknowledges and agrees to the Owners Terms and Conditions. (h) In the case of the equipment being damaged, the hirer may have the opportunity to purchase the damaged equipment. For the purpose of this clause, “Force Majeure” means an event or circumstance beyond the reasonable control of a party, including, but not limited to, acts of God, War, Rain, Hail, Wind, Fire, Explosion, Civil disobedience, Legislation not in force at the date of this Agreement or labour disputes. Neither KAT Flowers & Events nor the Hirer will breach this agreement and each party will not be liable to the other party for delay or failure to perform its obligation under this agreement due to Force Majeure. KAT Flowers & Events may give written notice to the Hirer, giving full particulars of such Force Majeure. KAT Flowers & Events shall not be liable for any indirect or consequential losses or expenses suffered by the Hirer, including but not limited to, loss of turnover, profits, business or goodwill or any liability to any other party or for any loss or damage suffered by the Hirer as a result of any delays caused by such Force Majeure events. The hirer agrees to ensure that any site specified on the hire agreement, will be clear of all obstructions to allow KAT Flowers & Events to erect, install or place the hire equipment safely. These terms and conditions are governed by the Laws of Victoria and the Hirer and the Owner submit to the jurisdiction of the courts of the State. Products sold on this website are a perishable, natural item and flowers life span is dependent on species, resulting in some flower varieties living longer than others. Flowers are a product of nature; availability is dependent on season and markets. As a result, not all goods produced are as pictured on www.katflowers.com.au by accepting these terms and conditions you are acknowledging there may be discrepancies between images and produced goods. These conditions prevail even if they are inconsistent with anything in any earlier or later order form or similar document. Any quotation, invoice, delivery docket or any hire schedule form part of these terms, whether signed by You or not (together with the terms, the Agreement). In return for us agreeing to consider your order you agree that these conditions apply if we do not accept your order or if we do not supply you with Goods. We are not obliged to accept any orders from you, but if you do place an order with us then it becomes binding from the moment that we accept it even if we do not tell you that it has been accepted. Any quotation is merely an invitation to you to place an order with us. If you offer to hire goods based on a quotation from us, then your offer is subject to these conditions. You should read and consider carefully these terms and conditions before taking delivery. For the purposes of this Agreement, ‘Goods’ shall mean any and all items of equipment described in the quotation or provided to You whatsoever pursuant to this Agreement. The period of hire of the Goods shall commence on the earlier of the date on which You take possession or on delivery of the Goods to the address nominated by You. The period of hire will continue for the minimum period of hire specified in KAT Flowers & Events's quote to Hirer ("Minimum Hire Period") or the later of (i) the date on which KAT Flowers & Events collects the Goods from Hirer or (ii) the date on which KAT Flowers & Events accepts the return of the Goods from Hirer, whichever is the longer ("Hire Period"). The Hire Period includes all Weekends and public holidays. If a fixed period has been agreed, You may only change the Hire Period with our written consent. We agree to hire You the Goods on an exclusive basis in good working order, free from defects. Unless specifically stated in writing on the quotation, We take no responsibility and give no warranty (save for any ACL Warranty), for the suitability of the use of the Goods and You agree that before taking possession of the Goods, that You have satisfied Yourself as to the suitability, condition and fitness for the purpose that You intend to Use them. Any extension to the Hire Period is subject to KAT Flowers & Events's prior agreement and KAT Flowers & Events is not liable if for any reason the Goods are not available for hire after the expiry of the Minimum Hire Period. KAT Flowers & Events always remains the owner of the Goods. Hirer holds the Goods as bailee only during the Hire Period. We retain title to the Goods even if You go into bankruptcy or liquidation during the Hire Period. The Goods shall be at Hirers risk from delivery or collection by You (whichever is the sooner). You acknowledge that We have a security interest in the Goods for the purposes of the Personal Property Securities Act (Cth) (PPS Act) and to the extent applicable the PPS Act applies. To give effect to the above, Hirer consents to Us affecting a registration on the Personal Properties Securities Register (PPSR) (in any manner We consider appropriate) in relation to any security interest arising under or in connection with this Agreement or any hire agreement and Hirer agrees to provide all assistance reasonably required to facilitate this. Hirer also undertakes to do all such things, including executing any new document or providing any information that is required by Us so that We acquire and maintain a perfected security interest under the PPS Act in respect of the Goods and its proceeds, so that We may register a financing statement or financing change statement and to ensure that our security position, and rights and obligations, are not adversely affected by the PPS Act. Hirer waives the right to receive any notice under the Act (including notice of a verification statement) unless the notice is required by the Act and cannot be excluded.
. each hire agreement is a security agreement for the purposes of the Act. We may in our absolute discretion perfect any security interest held by Us against any third party on whose site the Goods are located in any manner that We consider appropriate to protect our interest in the Goods. If requested by Us, Hirer must provide Us with all details as to the location of the Goods and the identity of any sub-lessee or third party that has been given possession. (Subject always to our consent) If the Hirer sub-leases or provides the Goods to a third party the Hirer must do everything required to ensure that the Hirer's security interest has attached and is perfected by registration on the PPSR.
. register, or permit to be registered, a financing statement or a financing change statement in relation to the Goods in favour of a third party without Our prior written consent.
. section 115(7) of the PPS Act allows for the contracting out of provisions of the PPS Act, the following provisions of the PPS Act will not apply and You will have no rights under them: section 127; section 129(2) and (3); section 130(1); section 132; section 134(2); section 135; section 136(3), (4) and (5) and section 137.
. Hirer agrees not to disclose information of the kind referred to in section 275(1) of the PPS Act to an interested person, or any other person requested by an interested person. You waive any right You may have, or but for this clause may have had, under section 275(7)(c) of the PPS Act to authorise the disclosure of the above information. For the purposes of section 20(2) of the PPS Act, the collateral is the Goods. This Agreement is a security agreement for the purposes of the PPS Act. You agree to notify Us in writing of any change to Your details set out in the Credit Application, within 5 days from the date of such change. In the event that the Hirer is a partnership, corporate entity or the Trustee of a Trust, the person/persons who does the hiring thereby acknowledges and confirms that person/persons has/have the authority to bind the partnership/corporate entity/Trustee of the Trust and that the partnership/corporate entity/Trustee of the Trust, is bound in accordance with these Terms and Conditions. We may apply amounts received in connection with this Agreement to satisfy obligations secured by a security interest contemplated by this Agreement in any way We determine whatsoever which will unless otherwise notified by Us, be an allocation firstly towards recovery fees and costs thereafter to interest and finally to a reduction of the Hire Fees. Upon delivery, collection or return of the Goods, Hirer must check the Goods and quantities delivered (or returned). If there are any discrepancies between the Goods delivered and the quoted order, the Hirer must note them at the time of delivery or collection by amending the relevant documents in the presence of a KAT Flowers & Events representative. In the event that the Goods are to be collected by the Hirer from KAT Flowers & Events’s premises or in the event that KAT Flowers & Events is to collect Goods from the Hirers address, Hirer must provide KAT Flowers & Events three (3) business days prior written notice by phone, text or email specifying the date proposed date of collection, name of a representative of the Hirer (who must be present), name of the intended carrier, contact telephone number, and quantity and nature of Goods to be collected. KAT Flowers & Events will confirm the date for collection with Hirer. Goods may/will not be collected until a written confirmation is provided by KAT Flowers & Events. 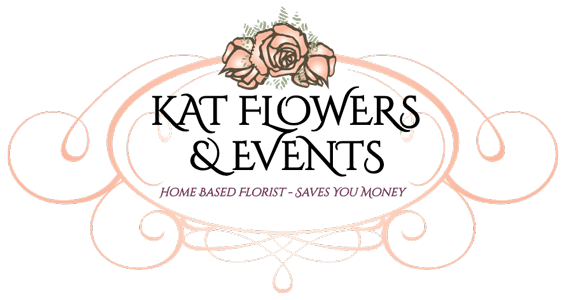 KAT Flowers & Events will endeavour to effect delivery and collection of the Goods at the times indicated by Hirer but will not under any circumstances be liable for any delay in delivery or collection or for failure to deliver or collect. KAT Flowers & Events reserves the right at any time to refuse any carrier of the Hirer.
. notify Us immediately if there is any loss or damage. If the Goods are damaged (other than fair Wear and tear) and capable of repair, Hirer must compensate KAT Flowers & Events for the cost of repair. If the Goods are lost or damaged beyond repair, Hirer must pay KAT Flowers & Events the new replacement cost of the Goods and any other costs incurred by KAT Flowers & Events due to the loss or damage of the Goods. Hirer will maintain at its own expense, during the Hire Period, all appropriate policies of insurance including, but not limited to, insurance for fire damage and theft. Hirer must not sell, offer for sale, part with possession of, mortgage, assign, transfer, charge, encumber or otherwise deal with the Goods or these Terms in any way without KAT Flowers & Events's prior written consent. Without affecting any other rights KAT Flowers & Events may have, KAT Flowers & Events may terminate these Terms at any time without liability to Hirer if Hirer (i) breaches these terms. (ii) fails to pay any amount when due, or (iii) becomes bankrupt, insolvent, or is placed in liquidation, administration or receivership, and in any such case KAT Flowers & Events may repossess the Goods. Without adversely affecting KAT Flowers & Events's other rights and remedies, upon termination of these Terms for any reason and/or upon expiry of the Hire Period (i) Hirer must provide KAT Flowers & Events with all reasonable assistance in locating and collecting the Goods; and (iii) Hirer acknowledges and agrees that KAT Flowers & Events or its employees or agents shall be entitled to enter Hirer's premises where the Goods are, or KAT Flowers & Events reasonably believes the Goods are, in order to re-take the possession of Goods. Hirer indemnifies KAT Flowers & Events against any liability, damage, loss, cost, charge, or expense arising directly or indirectly out of KAT Flowers & Events exercising this right of entry. If the Goods are not returned to KAT Flowers & Events in the condition they were provided to the Hirer (subject to reasonable wear and tear) at the expiry of the Hire Period, or within 24 hours (24) hours of KAT Flowers & Events making written demand, Hirer must pay KAT Flowers & Events the new replacement cost of the Goods and any other costs incurred by KAT Flowers & Events due to the loss of the Goods. From time to time We may change or vary this Agreement. We will give You 28 days written notice of our intention do so and if You reasonably believe that the varied terms are detrimental to Your rights You may terminate this Agreement without penalty but only on the condition that a notice of termination is received by Us in writing within 28 days from Your receipt of our intention to vary these terms. Otherwise, a variation may only be made in writing by each of Us. All guarantees, terms, conditions, warranties, undertakings or representations express or implied in any way relating to this Agreement are excluded to the maximum extent permitted by law. Notwithstanding this, nothing in this Agreement restricts or modifies any right or remedy including any guarantee imposed or implied under the Australian Consumer Law (if applicable) which contains guarantees to protect consumers of certain goods and services.
. in the case of services, the supplying of the services again, or the payment of the cost of having the services supplied again. Save for any liability that We may not exclude, to the maximum extent permitted by law, our liability for all claims arising under this Agreement, whether in contract, tort (including without limitation negligence), in equity, under statute, under an indemnity, or on any other basis, is limited to an amount equal to the Hire Fees paid by You under this Agreement. Subject to the provisions of this Clause, We are not liable for any consequential, indirect or special loss or damage, loss of profits, loss of business, function, event, business interruption, costs or amounts that You are liable for arising out of any loss suffered by third parties under or relating to this Agreement, whether in contract, tort (including without limitation negligence), in equity, under statute, under an indemnity, or on any other basis, whether or not such loss or damage was foreseeable and even if advised of the possibility of the loss or damage. For the purposes of this clause, Confidential Information means all confidential, non-public or proprietary information of one party (the Disclosing Party) regardless of how it is stored, delivered, provided to or learnt by the other party (the Receiving Party) in relation to this Agreement, but does not include excluded information such as information that is or becomes available in the public domain other than through breach of this Agreement or an obligation of confidence owed to the Disclosing Party or that was already known to the Receiving Party at the time of disclosure or that the Receiving Party acquires from a source other than the Disclosing Party. Confidential Information includes all pricing and related terms pertaining to the provision of Services under this Agreement. Neither party may disclose any Confidential Information to any person without the other party’s written consent, except to Representatives requiring the information for the purposes of, and in accordance with, this Agreement, or if either party is required to do so by law or an Exchange or in connection with legal proceedings relating to this Agreement. This clause survives termination (for whatever reason) of this Agreement. 14.1. You are responsible for arranging at Your cost, the re-testing and re-tagging of the Hire Item in accordance with the manufacturer’s instructions and the Australian Standards requirements. Kat Flowers & Events reserves the right to request a security bond to cover any equipment. The bond and amount will be determined by individual booking requirements. Any damaged, missing, unclean items will be charged at full replacement cost and/or cleaning cost will then be deducted from the bond amount.